Every year, we meet a lot of amazing people and hear a lot of incredible stories…stories of heartbreak and of hardship. But thanks to your generosity, we also hear stories of recovery, to not just survive but to thrive. Stephen and Andrew Jaikaran are no exception. We are so thrilled to have them share their story with you. Andrew was diagnosed with autism spectrum disorder at age two. 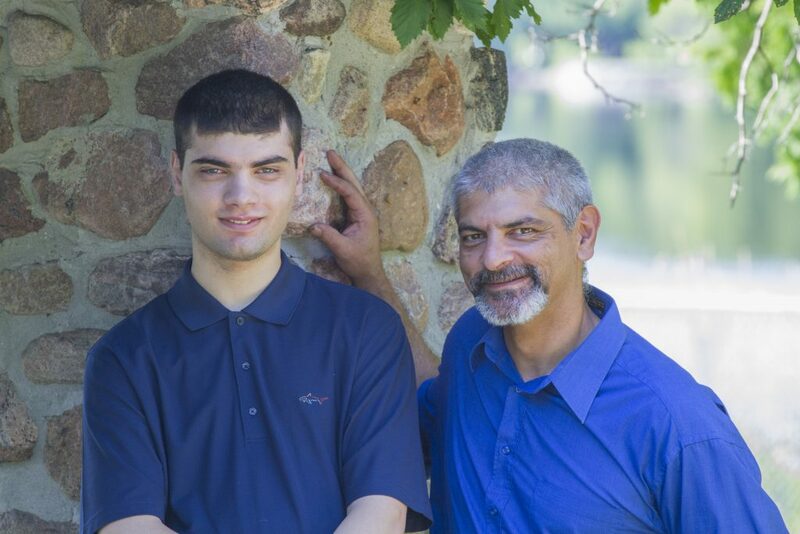 A year and a half later his parents were informed there was a 50 percent chance he would never speak and due to his disability he may never live independently. Now 22 years old, Andrew has a job, his G1 driver’s license, and plans to attend Fleming College. Watch Andrew and Stephen’s presentation at our 2015 Campaign Launch here.